> What is Hospice Care? The hospice interdisciplinary team develops a care plan that meets each patient’s individual needs for pain management and symptom control. 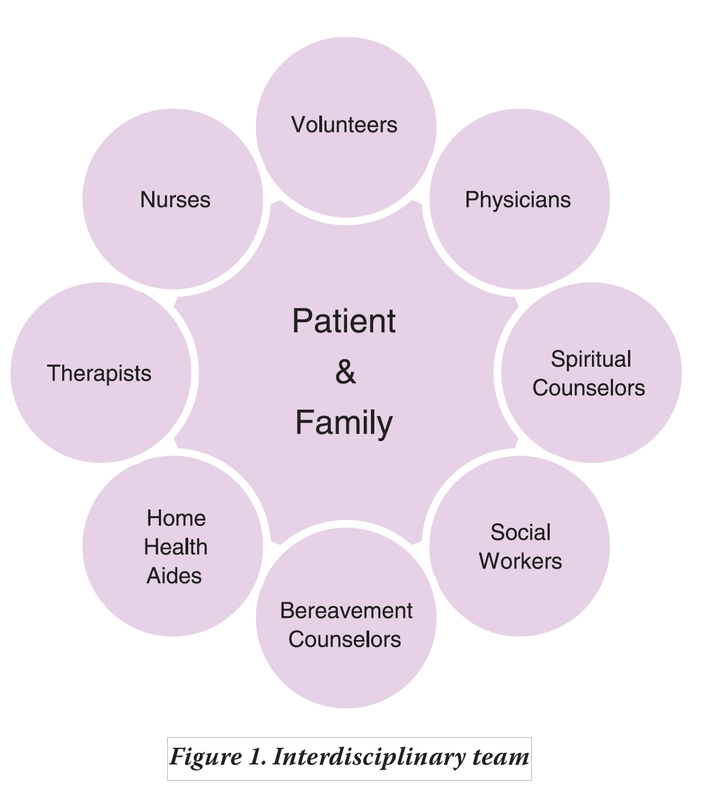 This interdisciplinary team, as illustrated in Figure 1 below, usually consists of the patient’s personal physician, hospice physician or medical director, nurses, hospice aides, social workers, bereavement counselors, clergy or other spiritual counselors, trained volunteers, and speech, physical, and occupational therapists, if needed. What services are provided to patients and families? Provides bereavement care and counseling to surviving family and friends.